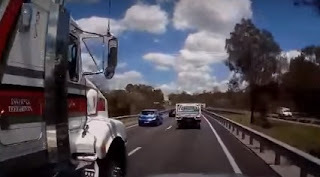 "Logan motorway QLD. My dad's Hilux is a mess. Truck driver didn't indicate and u can see him brake after the impact but he kept driving. "